The blade in question brought a world record price of $414,000 at auction during September 9-11, 2018. The top of the handle is carved in the shape of an eagle’s head made of solid gold, with garnets adorning the knife for the eagle’s eyes. 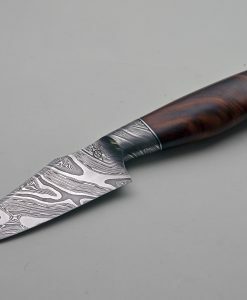 Here’s why it was so expensive: the knife was presented to President Theodore Roosevelt in 1909. On one side handle, opposite of the eagle, is a forest scene with two men behind a tree. One man is crouching, and another is standing with a rifle in hand. The knife was made by J. Russell & Co. of Massachusetts and originally cost $1,250 in 1909, the equivalent of $33,266 in today’s money. 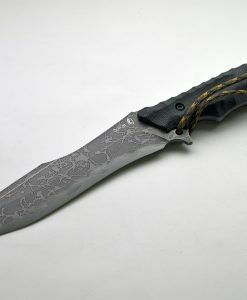 The knife is made with an ornate handle of gold and platinum and features detailed artwork. The knife was presented to Roosevelt for a hunting trip by James W. Gerard and spent the majority of its life in the Roosevelt family until the auction. Etched into the left side of the knife, it reads “PRESENTED TO THEODORE ROOSEVELT BY HIS FRIEND JAMES W. GERARD. 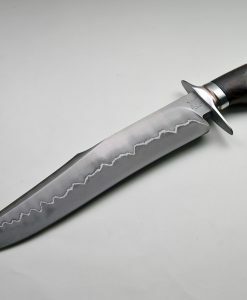 This knife is an important piece of American history and is 11.5 inches in length. According to Rock Island Auction Co., this is believed to be the highest price paid for an American knife at auction. What was the previous world record price? $270,000 in 2006 was the previous winner, linked to a knife that was linked to Sam Houston, an American soldier and a politician. 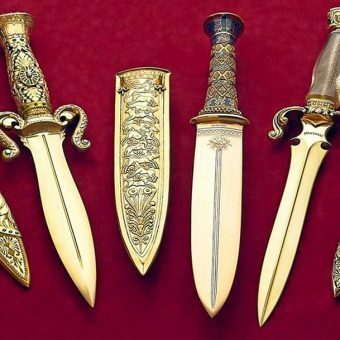 However, there is one knife set that greatly surpasses the price tag of Roosevelt’s famous blade: The Gem of the Orient was made by an American custom knife-maker, Buster Warenski of Kimberly, Nevada. Warenski passed away in 2005 and was one of the greatest knife makers of our time; the Gem of the Orient is adorned with over 153 emeralds totaling 10 karats and 9 diamonds that weight a total of 5 karats. An exquisite filigree sits over the jade handle, completing this masterwork of a piece. The knife set took over 10 years to complete and sold for over $2.1 million. and more. We even offer our own line of blades as well, at a price tag that does not reach $2.1 million. 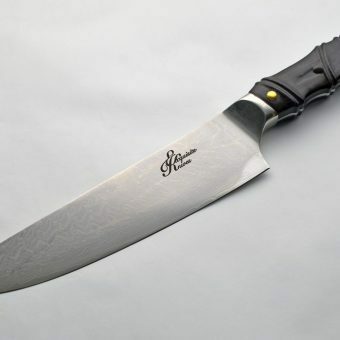 Please email or call us before ordering any knife online to make sure that it is still available. Give us a call at (760)-310-4078 or visit our contact page to learn more! © 2018 Exquisite Knives. All Rights Reserved.